It takes great full-body strength just to get up in the air and bend the pole prior to being slung skyward, but it takes exceptional core strength to control the body’s inertia and positioning during the slingshot sequence involving swinging, piking, inverting, rotating and pushing off over a bar that rests higher than your pole. Among other things, a vaulter’s momentum into the pole at takeoff corresponds with speed down the runway. 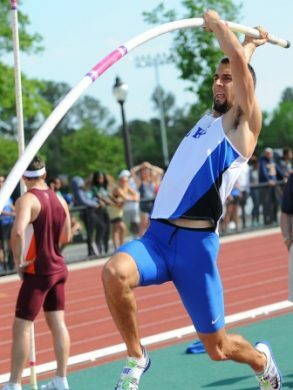 A pole vaulter must be powerful enough with sufficient runway acceleration and turnover – especially if they aren’t very tall. Vaulters must be fearless, and must not have even the slightest trepidation about launching their body upside down approximately 15 feet or more up in the air, all the while at the mercy of whiplash from a giant fiberglass pole. 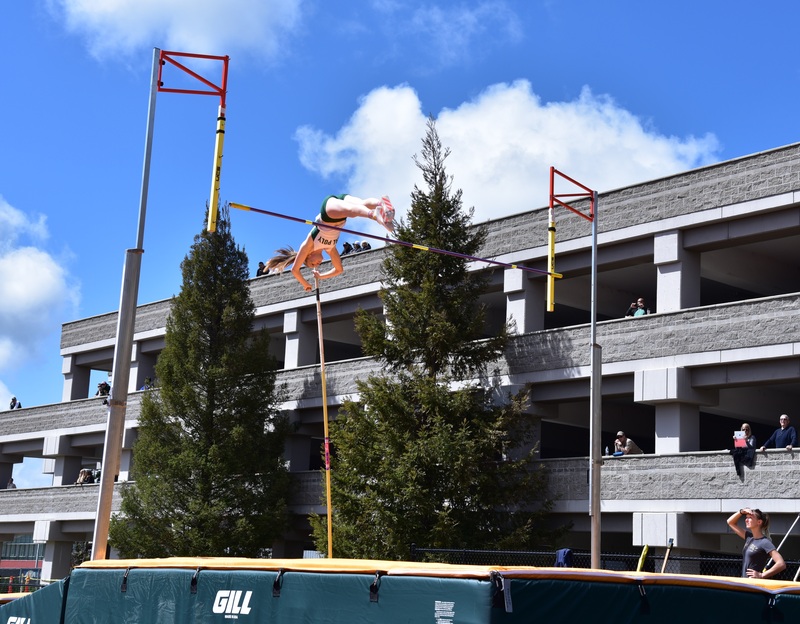 The training programs I engineered for pole vaulters might be my absolute best (and favorite) works – all of our vaulters got stronger as the season progressed from March-May towards reaching their peak heights. Obviously good coaching (which we had) was the main factor in this highly technical event, but these athletes would never be able to transition towards bigger poles and longer takeoffs without gaining strength and power when it matters most. Even during season, there was no exercise that I considered too tough or risky – or that I didn’t think my vaulters had the strength to handle. This hard-earned confidence is the same feeling you want your athlete to have during the critical part of their season, especially in the pole vault.